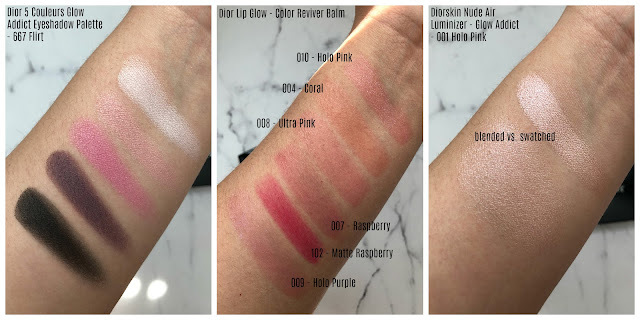 Below you will find the Dior Addict Lip Glow Color Reviver Balms - they added Holo and Matte shades to their already fantastic formulations. 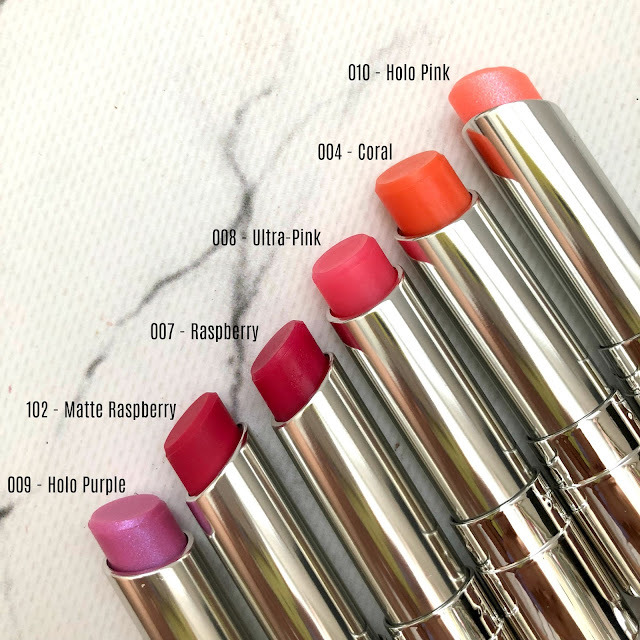 These are balms that are actually hydrating on top of having beautiful packaging. If you were to ask me if you needed to own all of them? 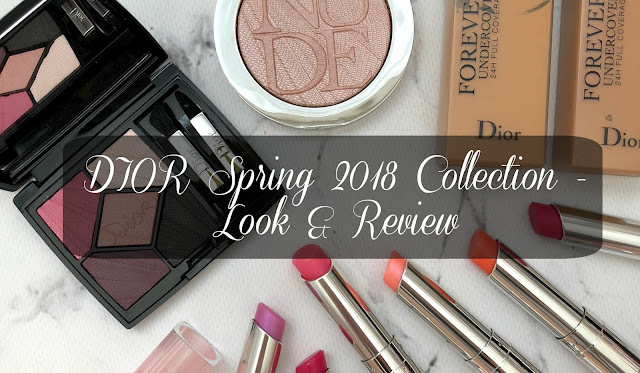 My honest answer is no - but the true standouts will have to be the Matte Raspberry, Holo Purple and also Ultra Pink that gives a "my lips but better" look. These have helped my lips from peeling and I always make sure to keep one in my purse, my diaper bag, my beauty room and bathroom! 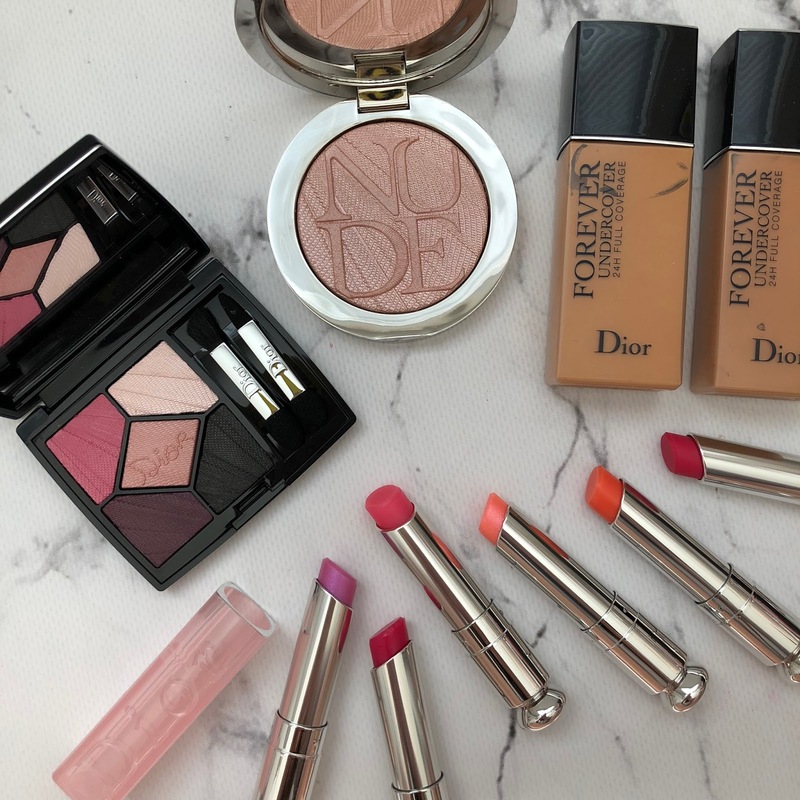 When I received the new Dior Forever Undercover Foundation to try out, I had a feeling that it was slightly darker than what I was used to in other formulations of foundation from Dior. I have used Dior foundations for years and I was interested in doing a swatch comparison, side by side to see if this was true. I compared the two most recent foundations launched by Dior - the Star, Forever and this one Forever Undercover. 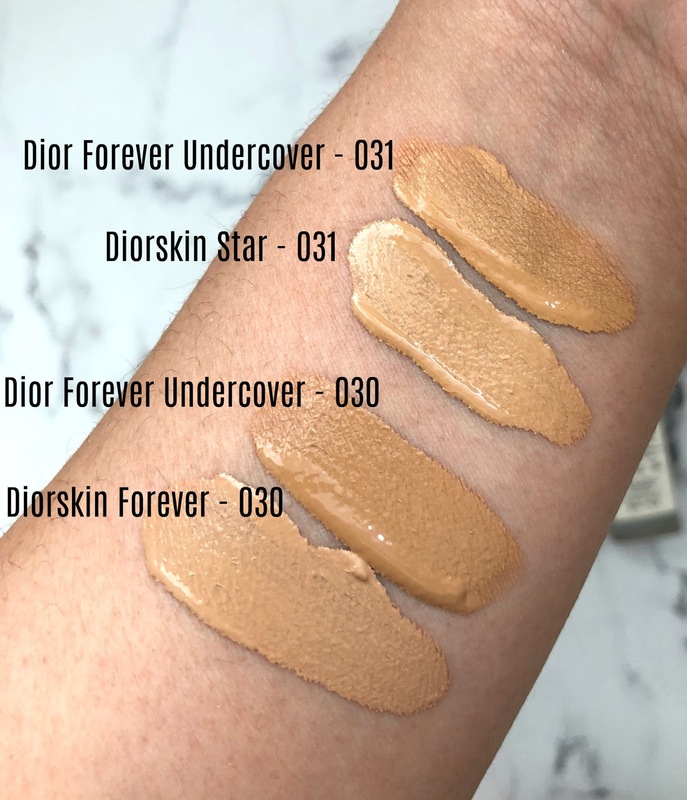 As you can see, the Diorskin Forever Undercover is a shade darker than its current shades in other formulations - even after it has dried down, so I do recommend that you go one shade lighter, or get a sample to test out before purchasing the full bottle. Top Row I used Shade 1 in the inner half of the lid, shade 4 on the outer and 3 blended on the crease with Shade 2 in the inner corner and left the bottom lash line bare for a more natural daytime Spring look. On the lips I used 102 Matte Raspberry. 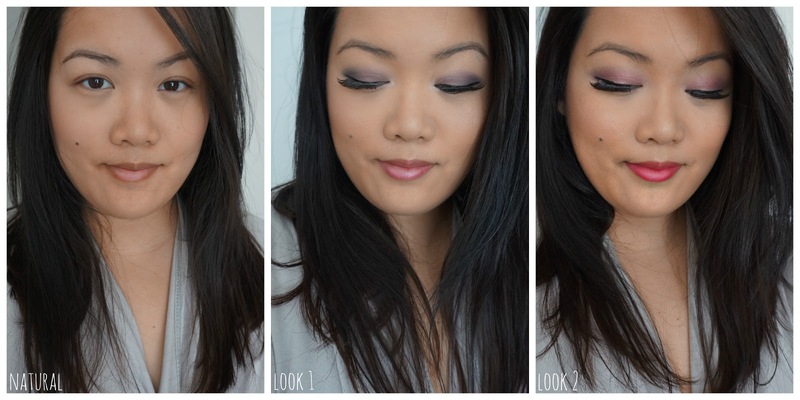 Bottom Row, I used Shade 4 on the inner half, Shade 5 on the outer half and 2 on the inner corner. I used Shade 4 on the outer bottom half of the lash line and Shade 1 for a pop of pink on the inner half of the lash line. On the lips I used 009 Holo Purple. 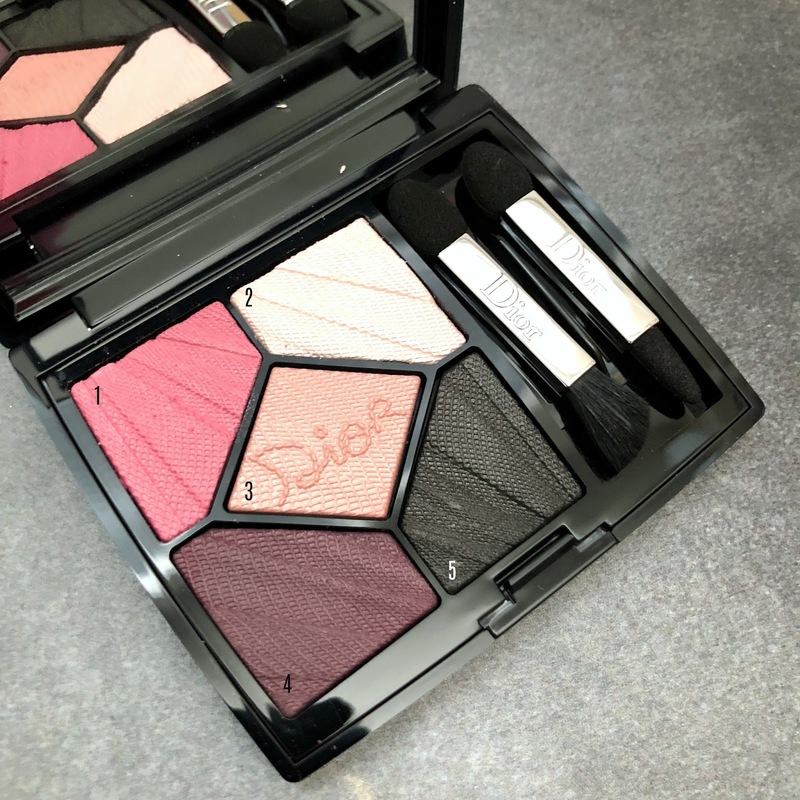 The looks above were created with the above eyeshadow palette called the 5 Couleurs Eyeshadow Palette in 667 - Flirt (swatches are also above). These shadows are actually very pigmented and deliver beautiful color payoff, a definite must have for spring! 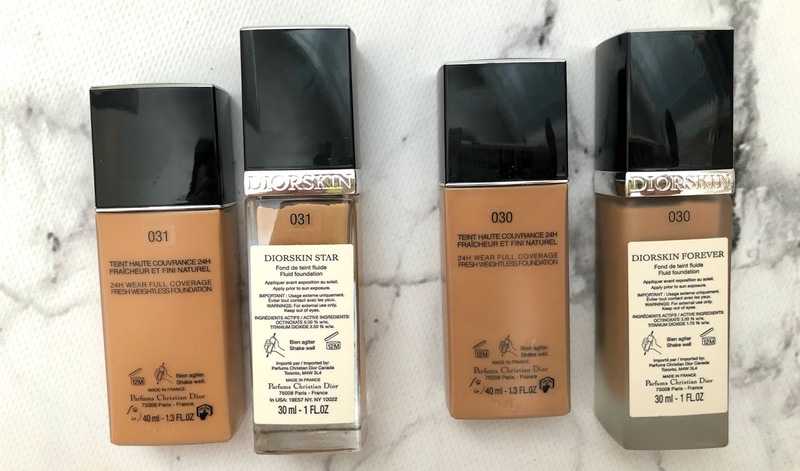 Hola; queria saber que tono de base se asento mejor a tu tono de piel, el 030 o 031 ?